* Spacious tiled living areas! "Lovely stay in this relaxing villa. Great location very central for everywhere. Quiet location in a nice neighbourhood.we have stayed here before and would love to do so in the future. Wouldn't hesitate to recommend a stay at this villa." 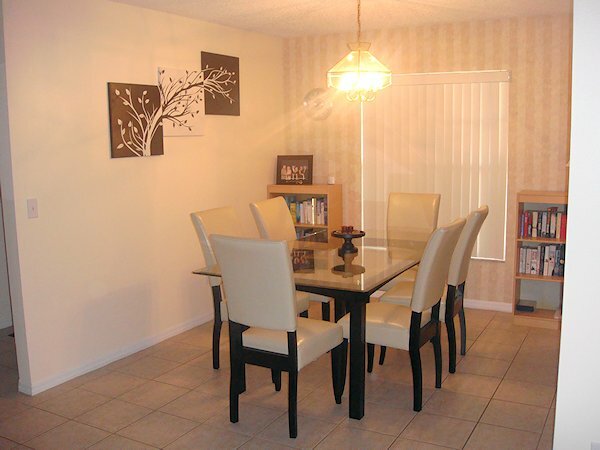 "This home is very well maintained and located perfectly for access to the Parks. The pool is like brand-new and beds were very comfortable. We enjoyed using the garage. 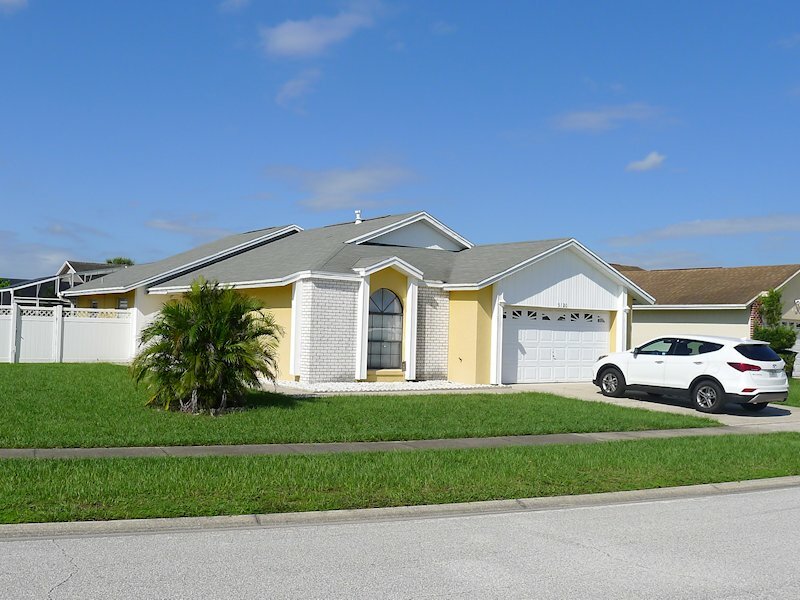 We have been visiting Orlando annually for nearly 20 years and always stay in a house/villa in Kissimmee, and this home is definitely our favorite. We will return." "Great location, nice villa with all we needed. Fantastic weather and a great time had by the Holmes family. Thank you"
"We have used Gillian & James every year for seven years now and won't stay with anyone else...ever!" "Fantastic location for everything Lovely neighbourhood pool area and pool great Very comfortable home from home Loved our stay here." "Spending Christmas in Orlando was a dream come true. The villa was absolutely amazing. It had everything you would need while on holiday. The pool was a big hit with my 2 children they loved getting back from the parks and going for an evening swim. The location of the villa was perfect just a small drive to Disney and universal studios. The whole stay couldn't have gone better. Will definitely be booking again soon." "We really enjoyed our stay and are glad we found this villa. We were visiting family and wanted a villa close to them in Indian Wells and this met our needs. It was within walking distance which was great - thank you!" "Villa perfect for our needs. Location ideal to have a fantastic time - would recommend staying here." "Just returned from our best holiday ever - in large part due to our excellent villa. We have relied on Gillian and James for our accommodation in Orlando for a number of years now and they've never let us down. Roll on next year!!!!!!!" "Great villa. Excellent location for Disney - it truly is just 10 mins away. Unless you were in a Disney hotel you could not have been nearer.Also close to Walmart, restaurants and the Outlets for shopping. 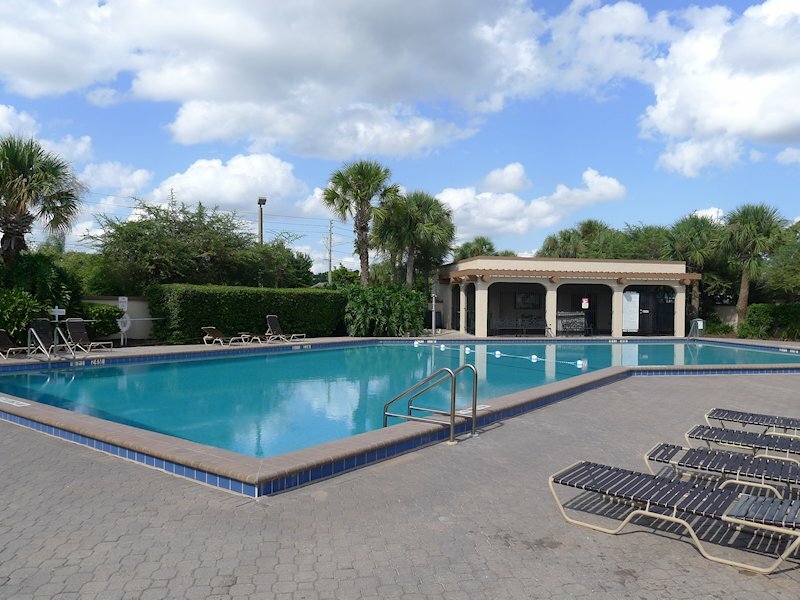 The pool was super and was exceptionally clean." "We had a wonderful time at Blue Moon villa. The location was first class within easy reach of all the theme parks,outlets, resturaunts, golf courses supermarkets and main roads. There were facilities ie books,games and videos and available if you wanted to use them. The villa had more than everything you would require on a self catering holiday. 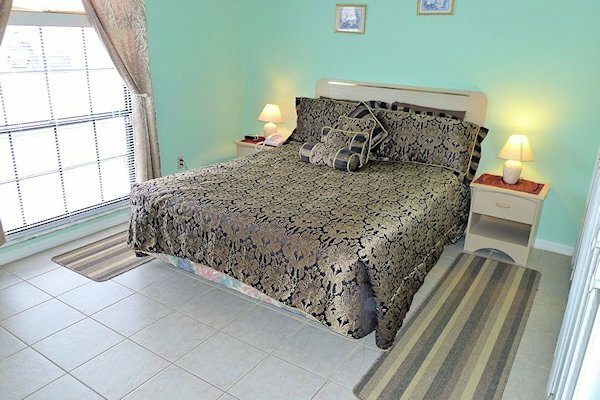 I would wholeheartedly recomend this villa to anyone whether it be to visit the parks or to just sit back and chill"
"Lovely villa pool brilliant, definitely got well used.. And so did washing machine ...very close to restaurants on 192 ,Walmart just round the corner and attractions so easy to get too. Just 1 tip don't use I4 on a sat night if your trying to get home from Universal. .. ITS MAD .."
"The villa itself is very spacious, the master bedroom with ensuite and walk in wardrobe and storage area is beautiful, my daughter and granddaughter shared the 2nd bedroom and there was still plenty of space even with the cot up. My two grandsons were in the 3rd twin room which they thought was great with their own mickey tele! The pool area was fantastic for both adults and children and we spent many hours relaxing by it, the children would have stayed there all day! The lounge and kitchen were extremely well equipped with everything you could need and more! 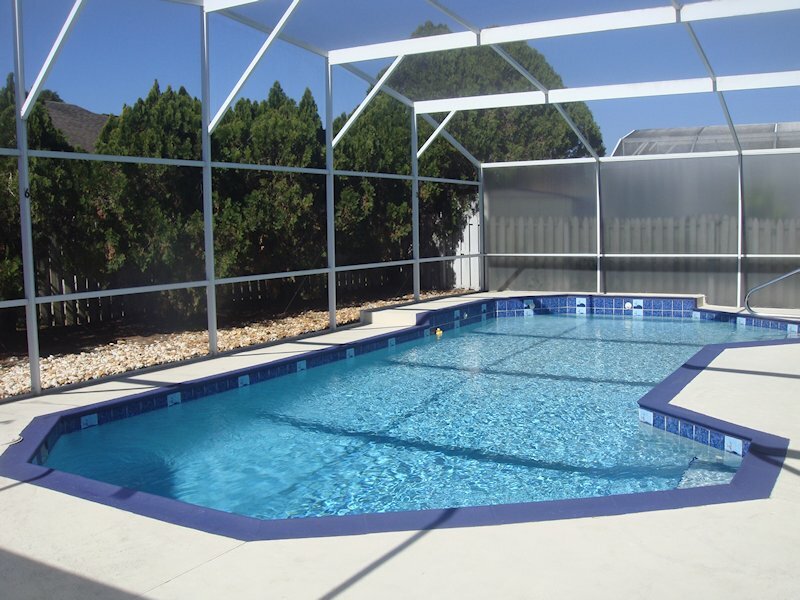 I would recommend this villa to anyone visiting Florida and we will definitely be staying here again!" 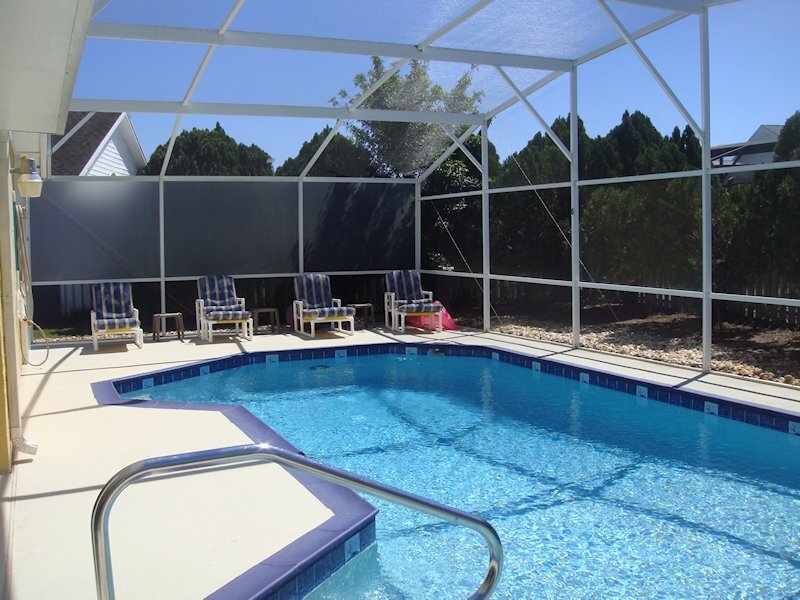 "The villa was a short drive from Orlando Airport and we were impressed by the place as soon as we arrived outside. We could tell from our first impressions that the accommodation was well maintained. The place is nicely decorated, well furnished, and had all the items needed for a comfortable stay. The large kitchen was packed with appliances and lots of utensils and tableware for even the largest families. We enjoyed the large screen cable TV in the lounge and the three bedrooms also had cable TV. The main bedroom also had a nice bathroom and it had sliding doors which led out to the pool area without having to go via the lounge and kitchen. The pool was one of the best we have seen. Plenty of sunloungers and a covered patio area for if the sun gets a little too hot." "Thank you for another fantastic holiday in your wonderful villa. Quite simply the best accommodation we have ever rented. We booked again because we enjoyed ourselves so much the first time we stayed. The location, just a short drive to the theme parks and with so many excellent restaurants in the immediate locality is a great bonus. The Walmart supermarket just a five minute walk away had everything we needed for a self catering hoiday. The house was perfect for us. The pool with its covered patio is one of our favourites, and we especially liked the en-suite bedroom with its sliding doors leading directly onto the poolside patio. The fully equipped kitchen had everything we needed and the alarm on the sliding door to the pool from the kitchen is an excellent idea..."
"Thank you for an amazing stay at your lovely holiday home, was much better than we could of hope for. Never mind all the theme parks etc on the doorstep I couldn't get my 2 children out of the pool!! Was so nice to return back after a long tiring day out & just relax in the pool & garden. Great location, places to eat & shop within 5 minutes walk, especially useful having Walmart at the top of the road. Everything we needed was provided and we hope to stay with you again once we can save enough $$$ for a return trip, so much to see and do 3 weeks was nowhere near long enough." To book this villa, we only require a deposit of 20% of the rental price. The balance is due 8 weeks prior to your arrival date, together with a fully refundable security deposit. We accept bookings arriving and departing any day of the week (not just Saturday to Saturday). Gas pool heating is available at £115 per week and if you are looking to use the pool, is recommended for the cooler months (October through to April). Just contact our representatives to book our villa. 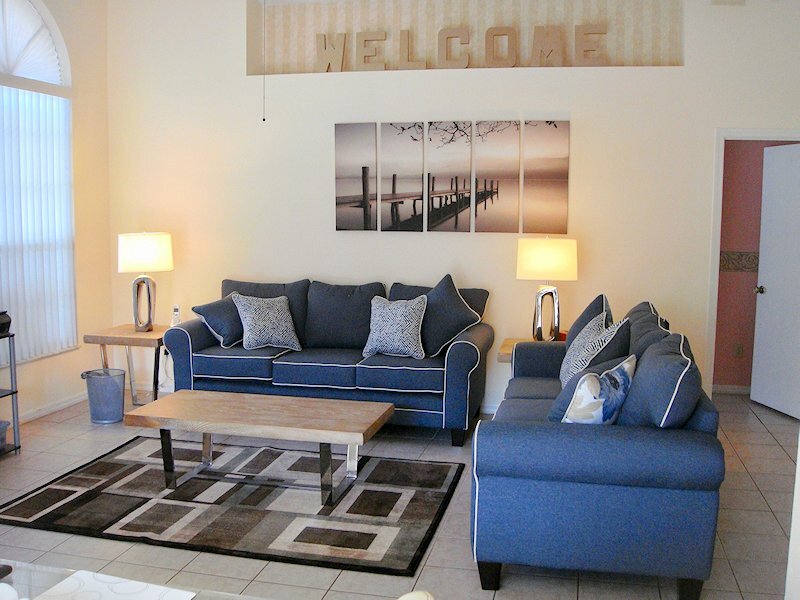 Our Blue Moon villa is fully air-conditioned, tiled and spacious with a vaulted living room ceiling. The living area is furnished with two 3-seat sofas, occasional tables and lamps. For relaxation, we have a 42 inch TV with full premium cable package including HD movies. If you want to keep in touch with English football whilst you are on vacation, unlike many villas we also have Fox Soccer and ESPN2 channels - which show up to 3 live English Premier League games a week. For the kids, there is also the Disney channel to set you in the mood for visiting the theme parks. If you are looking to eat in, our kitchen has an American-sized fridge freezer, large oven, microwave, coffee maker and more. There is ample tableware and cookware for you to enjoy a meal at the dining table or a lunchtime snack by the pool. There is also a dishwasher to make life easier washing-up afterwards. Our villa has a super king bed in the master with en-suite bathroom and for storing your clothes, a large walk-in wardrobe. 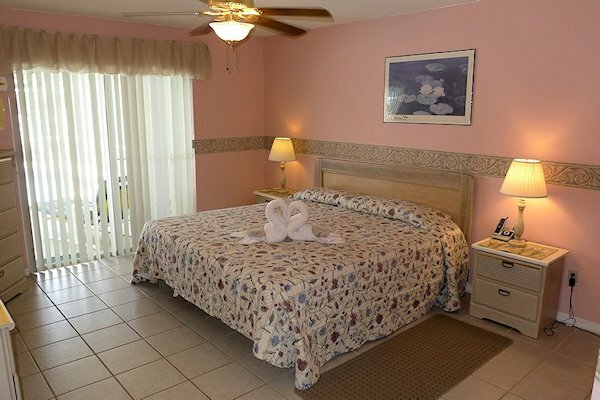 There is a ceiling fan, cordless telephone (local calls are free), clock-radio, TV and hairdryer, as well as patio doors straight to the pool area. The en-suite bathroom has twin wash basins, WC and walk-in large shower. 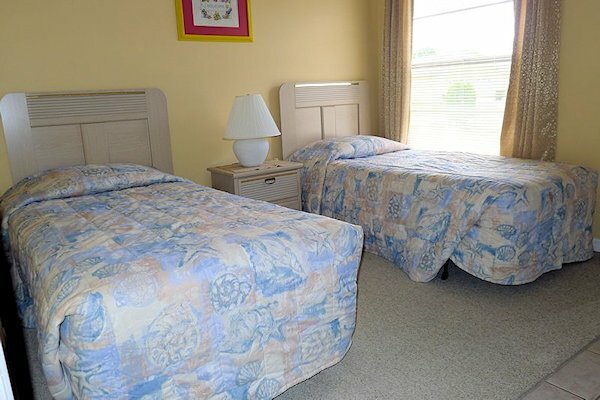 For the rest of the family, there are two other bedrooms, one with a queen bed and another with two twin beds. Each bedroom has storage space for clothes, with a second bathroom comprising of a low level bath with shower, sink and WC conveniently located for both. All linen and towels are provided. For babies, a cot, high chair and a toddlers stroller are provided at no extra cost. The Large South Facing pool is fully screened to keep out bugs, as well as being fenced, with small trees for added privacy. There is adequate space for you to relax on our padded pool furniture, soaking up the Florida, whilst the kids splash in the pool. 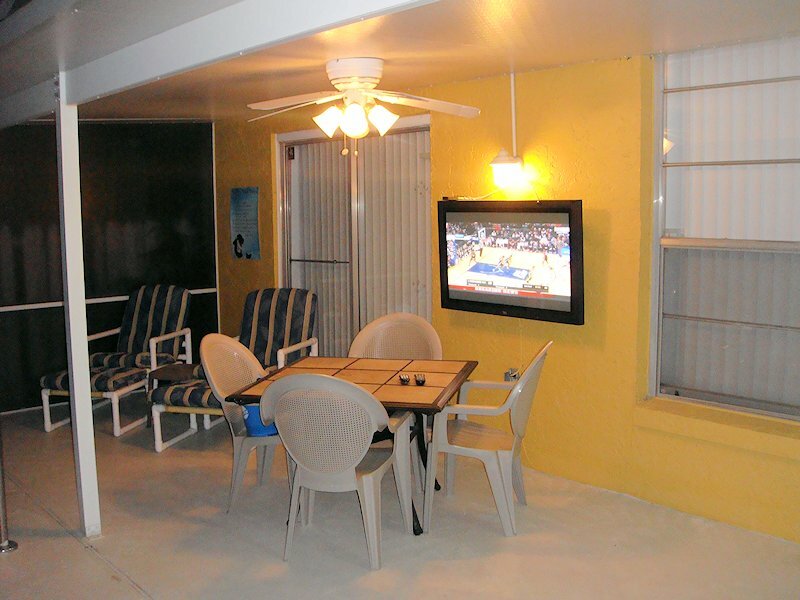 For al-fresco dining or simply to cool down there is a large covered lanai, with separate dining table and chairs. The lanai also has a ceiling fan for a welcome breath of cooling air. 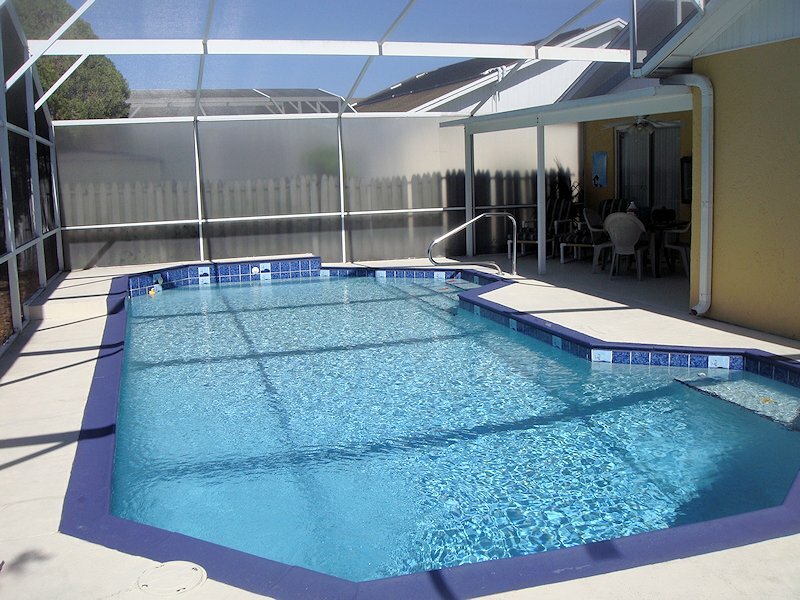 The pool has steps and a hand-rail and there is a separate cover to keep the pool warmer in the cooler months. Pool heating is available at a separate charge. 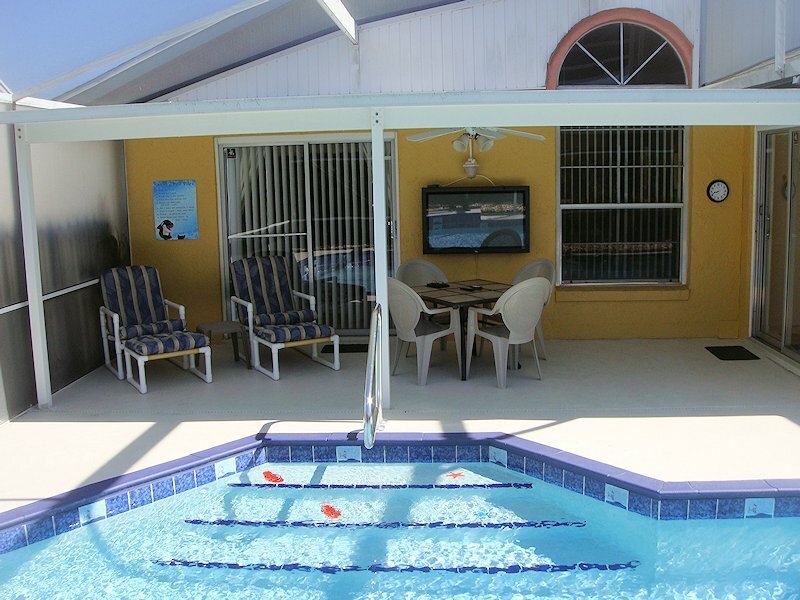 Indian Wells also has a large gated community pool which can only be used by guests and residents. Changing rooms are alongside. Indian Wells is located just north of highway US192 on the junction with Polynesian Isles Blvd (near the big Orange shop). This means it is just 5 minutes on well lit roads from Exit 6 of Route 417 - which is a direct road from Sanford and Orlando International Airports. The villa is situated in the centre of Indian Wells near the lake and park area. Here you will also find the tennis courts, basketball court, large communal pool and barbecue area, which are only for guest and residents use. .
A short drive will take you to numerous golf courses that cater to all levels of golf and all pockets. Indian Wells borders Falcon's Fire Golf Club which is the nearest. We also have discount coupons in the villa for Kissimmee Golf Club, Mystic Dunes and Royal St Cloud. A favourite is Kissimmee Golf Club as it borders the airfield and Warbirds museum, where you can see P51-Mustangs and Spitfires taking off. These are just some of the reasons why Indian Wells is seen as one of the best all round locations to stay when visiting the area.